Our oldest daughter, Kara, graduated from Rutgers New Brunswick School of Engineering. She worked especially hard throughout her school career and deserved to have the most amazing graduation party! I ordered two dozen cookies and left the the creativity up to How Sweet Cookies. 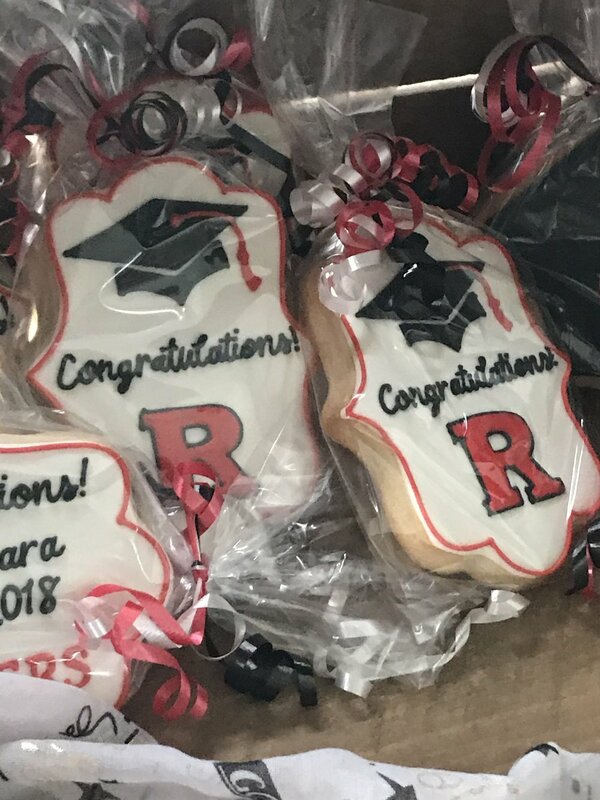 They were customized with her name, school colors, graduation year as well as the Rutgers R. I was very happy with how they turned out and our guests enjoyed being able to take them home as favors. 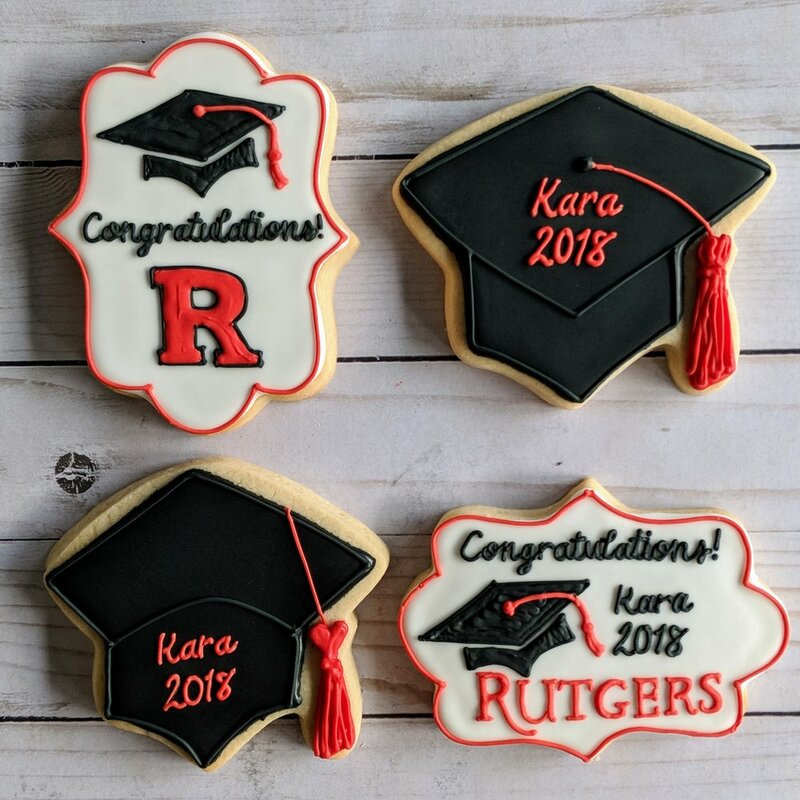 I will definitely be using How Sweet Cookies in the future for other special events. Highly recommended if you are looking for that something special to add to your event! 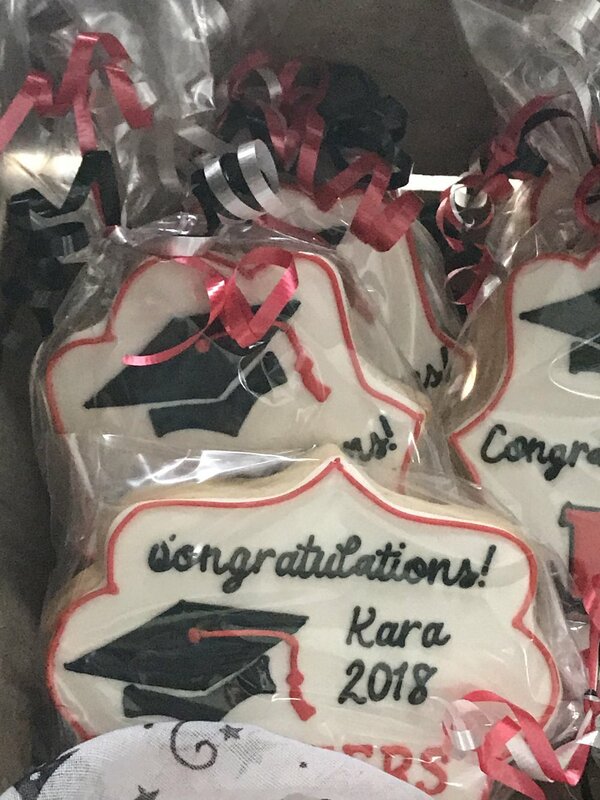 Thank you so much Amy for choosing How Sweet Cookies to be a part of such a special celebration of your daughter and her accomplishments! We are so glad that the cookies were enjoyed by all! !